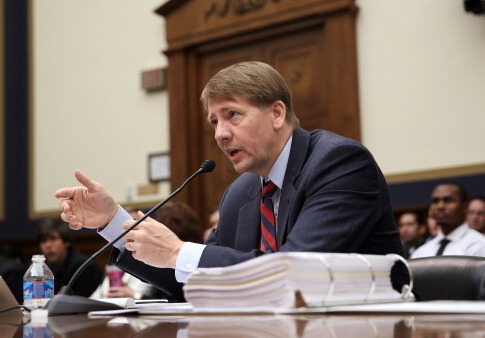 The CFPB took enforcement action against Ace Cash Express in July 2014. The CFPB said the company pushed "payday borrowers into a cycle of debt" and forced the company to offer $5 million in refunds and pay a $5 million fine. Jackson said after refusing to falsify records, managers informed her she was "not performing" at grade level and subjected to disciplinary action. "I encourage you to initiate an investigation into this matter, as well as civil rights violations at the Consumer Financial Protection Bureau," Jackson said. "During my nearly five years at the Bureau, I encountered widespread racism and gender discrimination from management." Jackson said she was ultimately forced out of the CFPB due to an "incredibly hostile work environment and the retaliation I continued to receive from management at the CFPB due to the Ace Cash Express incident." The U.S. Consumer Coalition, a consumer advocacy group, released the whistleblower letter. "Ms. Jackson is a dedicated public servant who believes in the mission of the CFPB," said Brian J. Wise, president of the U.S. Consumer Coalition. "Unfortunately, her claims are all too familiar to the dedicated employees serving under the direction of CFPB management." "We join Ms. Jackson in calling on U.S. Attorney General Jeff Sessions to initiate an investigation into this case as well as the dozens of cases of civil rights abuses we are aware of at the CFPB," he said. This entry was posted in Issues and tagged Consumer Financial Protection Bureau, Jeff Sessions. Bookmark the permalink.